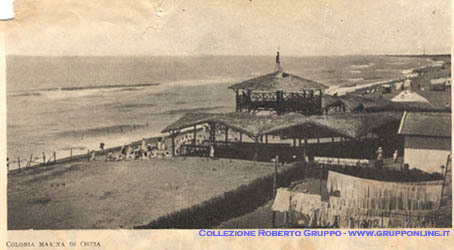 The first Sea Colony of Ostia was born in 1916, proposal of Council of Rome n°659 and designed by the architect Marcello Piacentini. 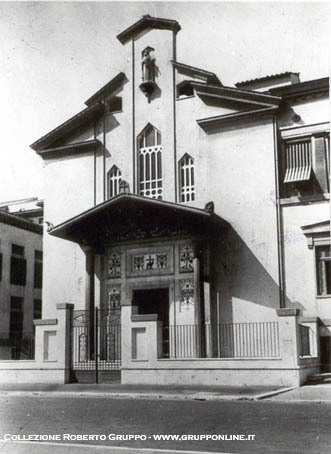 The construction was built with reinforced concrete. It had refectories, kitchens, recreation rooms, and two big rooms with 80 beds for the kids who slept there. This building was destroyed by German Army on December 1943 and rebuilt during the years 50's. Today it is the base of 13th discrict of Rome. tecnichal offices. The building had two big sheds with straw roofs. They were constructed to protect the children from the sun. Four buses runned every morning from Porta San Paolo, in the city center, to bring them to the Colony and come back home in the evening. The total cost for the entire construction was 100.000 liras. In 1925 the Colony was enlarged . 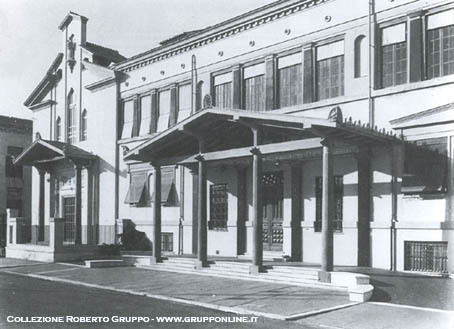 The project was committed to the architect Vincenzo Fasolo, who on Janaury 20th 1927 started the work. 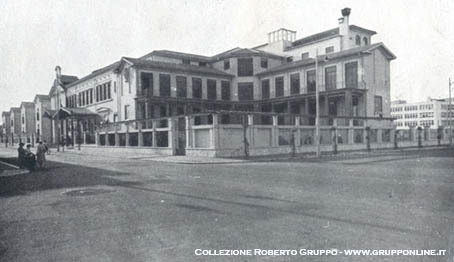 The Colony Vittorio Emanuele III was inaugurated on 24th January 1932, in the presence of the Queen Elena. The entire building occupies an area of 16.000 squared meters. The construction is divided into two separate sections. In the east side it has 4 floors with kitchens, storerooms, refectories, parlours, bathrooms, cellars, the library and direction office, seven schoolrooms, the ballroom, the museum, the library and the bedrooms for the noons and the staff. To let the children go directly to the beach it was built an underpass from the Colony to the sea. 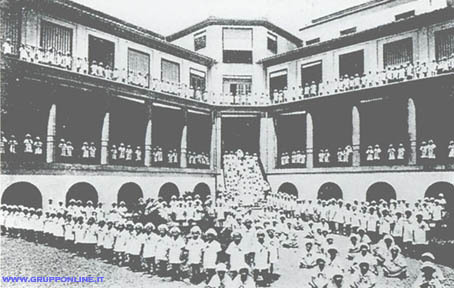 On the west side, starting from the ground floor, there are: laundries and ironing space, central heating fitting, the shared bathrooms, a little theatre, fourteen shared dormitories, other basins and....the bowls for the evening footbath of all 300 children staying in the Colony. From the date of displacement (September 25 1943), after only eleven years, the Colony Vittorio Emanuele ends forever to be a part of a health plan wanted by the Governor of Rome. Later, it was occupied by German troops who were stationed at Ostia and after the conflict remained inactive until 1950. 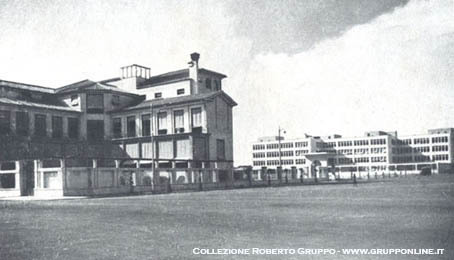 From that time until 1983 it became a college for children of poor families in Rome. Today the Colony hospitates the offices of Common Police, the Lido Theatre, the great library Elsa Morante, one of the best in the City, the church of Sant'Egidio and Litus Roma Hostel, one of the biggest in the City. In the Colony there is also a large chapel, decorated with coloured marbles, with the apse frescoed with scenes of Christ speaking with the children staying in the building. 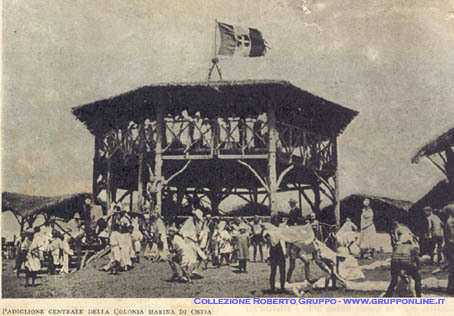 Many times it was said that the Colony was a gift of the real family Savoia to the Council of Rome but it's not the true. The Council of Rome built it and gave it to the King of Italy Vittorio Emanuele III for the 25th anniversary of his kingdom.